Canadian homewares company, Trudeau has been at the forefront of quality and innovation since 1889 with members of the family still involved today. Trudeau is well known for taking even the most humble piece of kitchen equipment and finding a way of improving it. Want to keep your counter space looking pristine when as you cook? 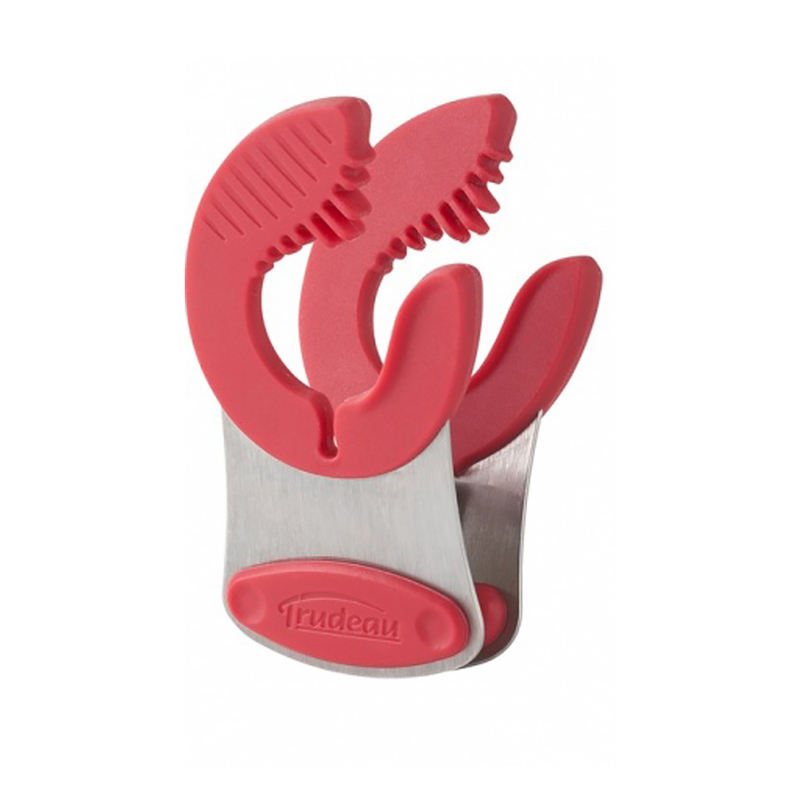 Trudeau is coming to your rescue with this nifty clip designed to sit on the rim of your cookwear to keep your space clean of dripping utensils. It conveniently cradles the handle of spoons and stirrers, saving you lots of valuable mopping up time and it also keeps its cool as it made with heat resistant silicone construction. Trudeau - enhancing your enjoyment of the good things in life. Made from stainless steel with silicone. Clip on the side of your pan to accommodate most utensils. Allows you to keep your work space neat. Silicone handle is heat resistant.